A Regular Lifeline Communicator that is connected to an active telephone jack and electrical outlet. This type of unit allows you to connect your existing phone into back of the Lifeline unit so that your phone works through the Lifeline unit. 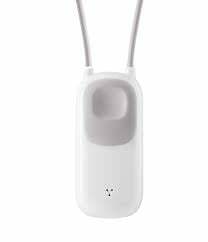 A Wireless Lifeline Communicator that works with it's own cellular technology; this unit is connected to an electrical outlet in your home. All Lifeline Communicator Units have a back up battery and work during power outages. 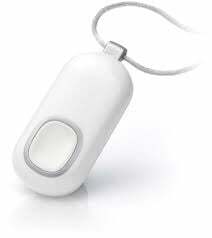 *AutoAlert does not detect 100% of falls, if able, you should always push your button if you need help.